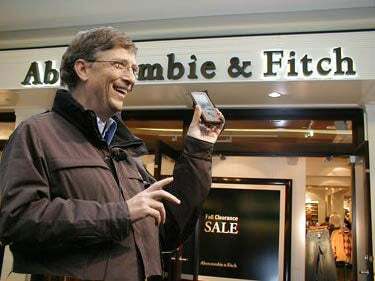 According to Microsoft's business chief Chris Stephenson, the company is planning on working with retail chains to provide "filling stations" for the Zune. Such classy places as McDonalds and Starbucks would be the idea place for Zune owners to hop in and download a song or two. Imagine going to your late teens/early twenties clothing store, hearing a great song over the speakers, and being able to immediately download the track to your Zune right there. No need to walk up to the snarky cashier and ask her what the song is. Cool, eh? This definitely jives with what Stephenson said before about shrinking down Zunes and releasing one with "true" Wi-Fi. Microsoft Sending Zune to Fat Camp?